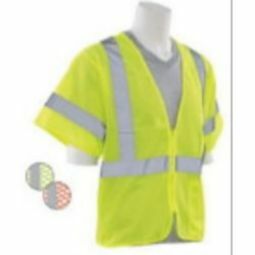 High Visibility SV24-3 Class 3 Breakaway Surveyor Safety Vest has Zip-N-Rip at shoulders, sleeve, sides and front zipper closure that breakaway when tugged with moderate force. 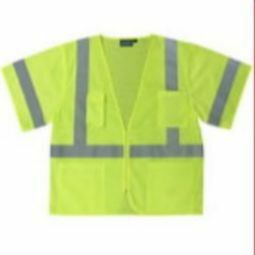 Excellent choice for extreme traffic hazards around moving machinery or equipment to prevent pulling workers into hazards. 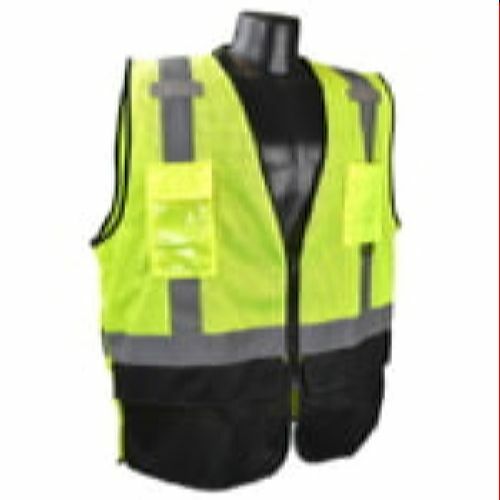 Class 3 safety vests are designed to protect the worker with maximum visibility. 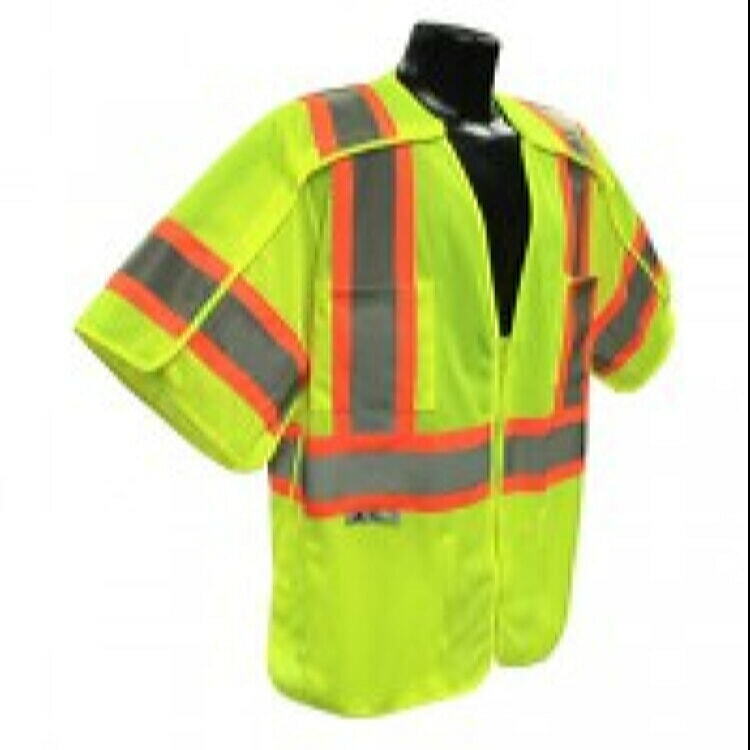 These vests are designed with the most hi-viz material coverage and reflective stripes for workers exposed to complex work environments. 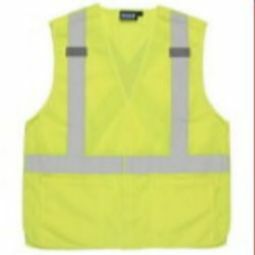 Class 3 vests are required in environments with high-speed traffic, high-risk environments and where the worker must be visible through a full range of motions at a minimum of 1280 feet (390 meters). 5 Point Breakaway Zip-N-Rip at shoulders, sleeve and sides. Tape: 2 Silver Reflective Material. 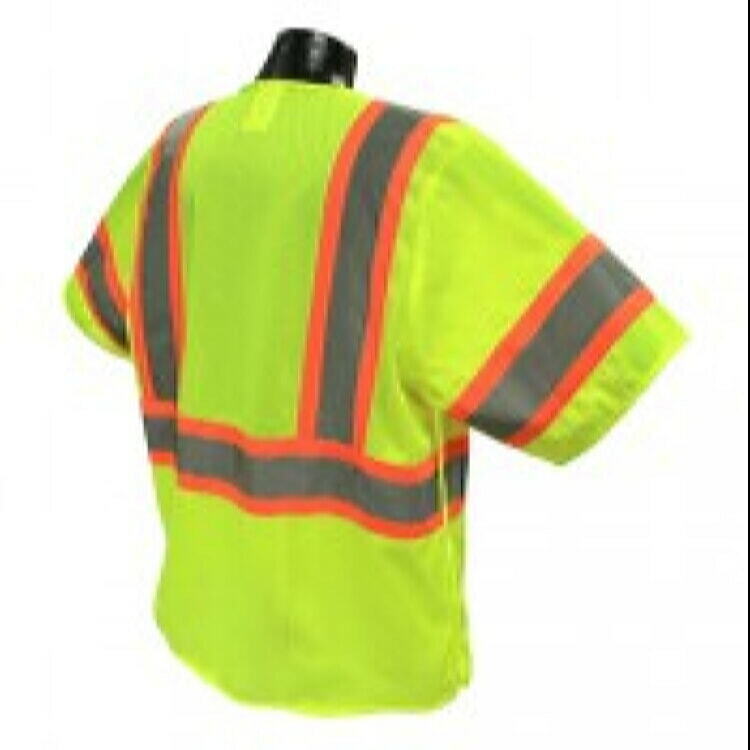 1 horizontal stripe. 3rd Party Certified Meets ANSI/ISEA 107-2010 Standards.